After thirteen hours in the beautiful King’s Casino here in Rozvadov, Ukraine’s Mykhailo Gutyi has won the coveted gold WSOPE bracelet and the first-place prize of €61,299 for beating 386 other entries in Event #4: €1,100 No-Limit Hold'em Turbo Bounty Hunter. This is the sixth bracelet for Ukraine, Gutyi, joins the illustrious list of Ukranian bracelet winners which already includes Oleksii Kovalchuk, Eugene Katchalov, Igor Dubinsky, and Oleksandr Shcherbak. This is also Gutyi’s biggest live cash ever, he was overjoyed to have won the bracelet, as did his rail. He finished in 2nd place earlier this month in the WSOP Circuit Bounty Hunter tournament, he came 17th in the Circuit Main Event and min-cashed the COLOSSUS. Gutyi mentioned he would now also play the WSOPE Main Event later this month. 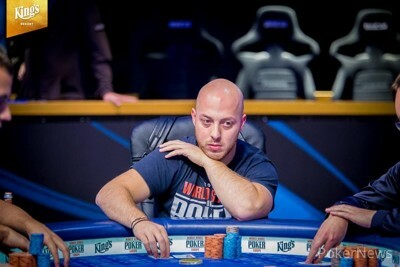 The more notable names that joined Gutyi on the final table included Philipp Zukernik, Vangelis Kaimakamis, Angelos Pettas, and Darko Stojanovic. At 5 PM local time, the tournament started with almost 100 players in their seats already. 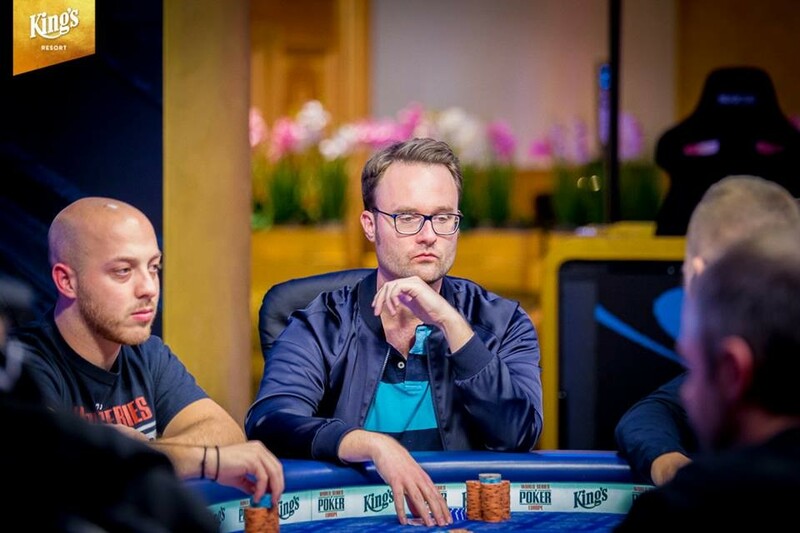 The defending champion, Martin Kabrhel sat down from the start and as usual, could be heard from almost every corner of the biggest poker arena of Europe. Also sitting down in the first level was Asi Moshe who won his second bracelet only a few hours before. Kabrhel was off to a good start by eliminating Daniele Ruocco when Kabrhel had turned a straight while Ruocco had flopped trip eights and got no further help on the river. By the time the tenth level had started, last year’s numbers had been surpassed when the total number of entries hit 328 players. With reentries being possible for the first twelve levels, players were busting and reentering all the time. By the time the 30-minute dinner break started, 380 entries were showing on the clock with registration closing with 387 entries, in the end, creating a total prize pool of €255,226. Players who bit the dust without cashing include Romain Lewis, Anson Tsang, Carlo Savinelli, Michael Soyza, Narcis-Gabriel Nedelcu, Shaun Deeb, Chris Ferguson, David Urban, and many others. Piotr Wiecek managed to find a double on the bubble with pocket jacks against the ace-king of Thomas Hofmann but Manig Loeser wasn’t that lucky with his pocket jacks when he ran those into the ace-queen of Vangelis Kaimakamis. Kaimakamis flopped a queen and no help came on the turn or river for Loeser as he became the bubble boy. The bust-outs then started coming in fast and furiously, players like Renato Kaneoya, Jakob Miegel, Fahredin Mustafov, Rex Clinkscales, Jessica Pilkington, and Jeff Madsen. Kabrhel lost most of his stack when he doubled Dutch Boyd up. Boyd held ace-jack and Kabhrel was trying to get Boyd’s bounty with pocket tens. Boyd flopped two pair and improved to a full house on the turn to double up. In the end, Florian Sarnow was the one to collect Kabrhel’s bounty in a three-way all-in situation. Sarnow held pocket jacks, Kabrhel ten-seven, and Aaron Duczak had ace-king. The jack on the flop sealed the deal for Sarnow to get a full double-up paid by Duczak and eliminate Kabrhel. With three tables left, the bust-outs didn’t slow down at all, Casey Kastle lost all his chips when he ran pocket kings into the pocket tens of Jonas Kilian who rivered a straight. Duczak’s jacks couldn’t win against the ace-seven of Andrey Ivlev. Boyd lost a bunch of his chips when he doubled Wiecek up who ended up flopping a set of nines. Maria Lampropulos then dealt Boyd the final blow with jack-nine while Boyd held ace-jack. The nine on the flop meant Boyd’s bounty went into her pocket. Cord Garcia was eliminated when his shove was called by Sarnow who held pocket nines and flopped quads. The turbo format was very noticeable when the final two tables were reached, first Alexander Konovalov was sent to bed, then Roland Israelashvili busted five minutes later. Ten minutes after that, Danny Covyn and Lampropulos were eliminated in a space of 2 minutes from each other. Less than ten minutes later, Rozvadov regular Martin Dietrich ran his pocket treys into the ace-queen of Kaimakamis. A minute later, Fabien Baldelli lost it all to Darko Stojanovic with king-eight. Another minute later, Kilian got kicked out of the tournament when he ran his ace-eight into the pocket fives of Sarnow. Wiecek was then whipped out a few minutes later when his king-six couldn’t beat the ace-queen of Bharath Jarnardhan who rivered a flush. 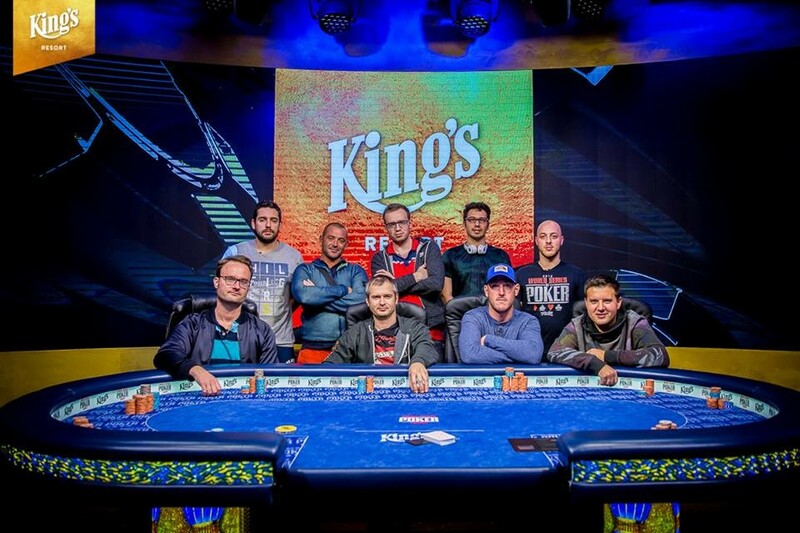 The ten remaining players were then combined onto the feature table but it was Jarnardhan himself who would bubble the official final table when he ran his ace-king into the aces of Kaimakamis. Some breathing space came for the players as three double-ups came for the shortest stacks but in the end, it was Luca Marchetti who had to say goodnight first when he ran his ten-nine into Sarnow’s queens. Ivlev was getting shorter and shorter and ended up shoving his last two big blinds with eight-deuce and was called by Kaimakamis with ten-nine. 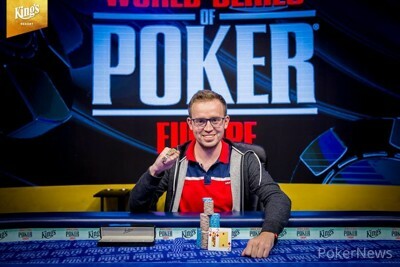 Kaimakamis then doubled up through Philipp Zukernik with pocket queens against Zukerniks[/b] pocket jacks. Zukernik then shoved his last 2.5 big blinds with queen-four into the ace-king of Gutyi. Kale Halstead had been pretty quiet up till now and managed to pick up a few pay jumps but finally shoved with pocket fives. Gutyi held queen-nine and made a straight flush, in the end, to take Halstead out of the running in sixth place. Stojanovic was another victim of Kaimakamis when his three-bet shove was called by Kaimakamis with pocket eights. Stojanovic held four-trey and didn’t get any help of the board. Angelos Pettas fell to Gutyi, his ace-four failed to beat Gutyi’s pocket fives, even after he did flop a pair of fours. Then it was the turn of Kaimakamis to find his way back to the hotel. Kaimakamis ran his king-ten into the king-queen of Gutyi and when the queen fell on the turn, Kaimakamis was drawing dead. Sarnow managed to find a double at first with ace-four against Gutyi’s nine-five but when he turned trip tens, Gutyi had flopped a flush already. The river didn’t pair the board for him and Sarnow was eliminated in second place. Sarnow registered late today after he reached the final table of Event #3: €550 Pot-Limit Omaha 8-Handed as the short stack but will be happy with this result and another shot at the coveted WSOPE bracelet in less than nine hours. This concludes the coverage of the fastest WSOPE bracelet tournament on the calendar, make sure to return at 3 PM local time tomorrow, Thursday, October 18 to see if Sarnow can win a bracelet in Event #3, or for all the action in Day 1A of the €1,100 MONSTER STACK as the PokerNews live reporting team will be on hand to bring you all the updates. Florian Sarnow limped in with the and Mykhailo Gutyi checked his option with . Gutyi flopped a flush on and checked, and Sarnow checked behind with his top pair. The on the turn was a disastrous card for Sarnow. Gutyi bet 300,000, Sarnow raised to 875,000, Gutyi shoved and Sarnow called it off for 4,200,000 after a minute of thought. 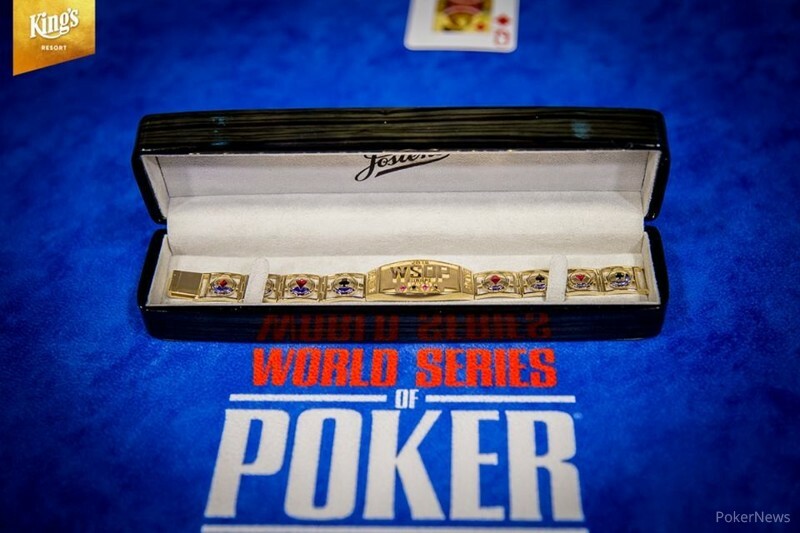 Gutyi was one card away from his first WSOP gold bracelet and raised his arms in the sky when the fell on the river. He clapped his hands and headed to his friends on the rail to celebrate. 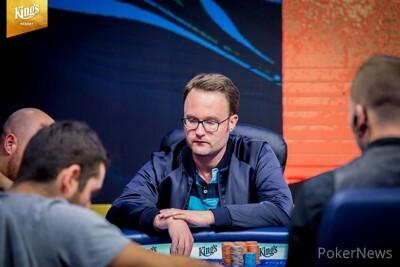 After reaching the final table of Event #3: €550 Pot-Limit Omaha 8-Handed earlier today, Sarnow late registered the Turbo Bounty Hunter and reached his second final table of the day, a unique accomplishment in WSOP history. 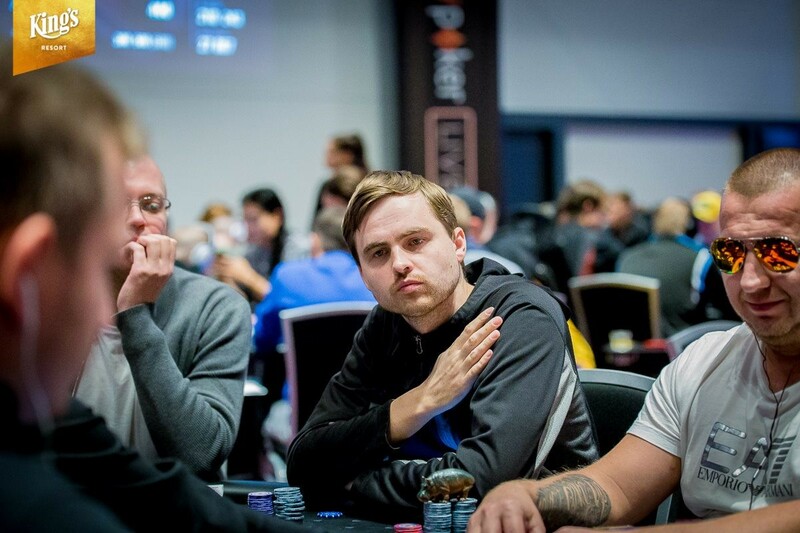 He received €37,678 for his run and will be back on Thursday for another shot at a bracelet. In the second hand of heads-up play, Mykhailo Gutyi shoved all in and Florian Sarnow called. The board was safe for Sarnow and he doubled up right away. Mykhailo Gutyi shoved 4,215,000 on the button all in. Vangelis Kaimakamis called all in for 2,585,000 from the small blind after around half a minute. 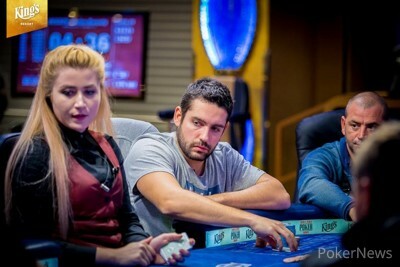 It was already over on the turn after the board came down , ending the Greek's deep run in third place for €25,468. The two remaining players will take a short break before starting the heads-up. Mykhailo Gutyi shoved a few hands and received a walk to extend his lead a bit. Angelos Pettas shoved all in for 1,225,000 first to act with . Florian Sarnow folded in the small blind, Mykhailo Gutyi called all in with in the big blind after a minute of thought. The board ran out to seal Pettas' fate in 4th, who received €17,565 for his deep run. Gutyi found on the button and open-shoved for 1,405,000 to pick up the blinds and antes. The next hand, Gutyi found and shoved again, this time for 1,805,000. Another round of blinds moved Gutyi up over the 2M mark.